1 Bibliographer, vol. II. 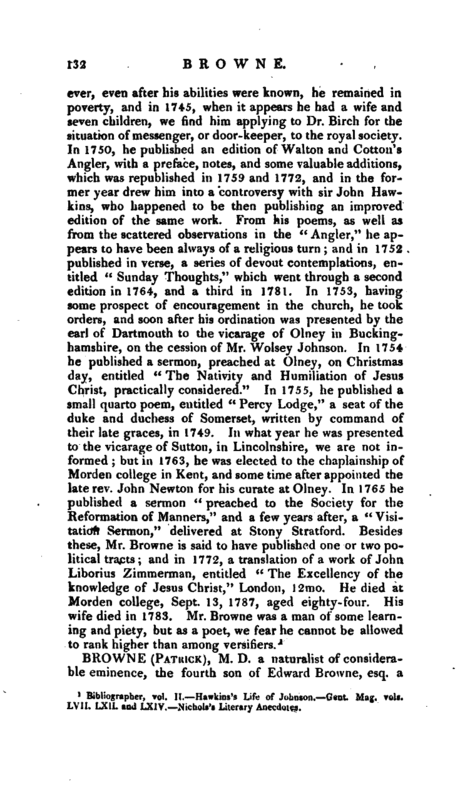 Hawkins’s Life of Johnson. —Gent. Mag. vols. LVII. LXII. and LXIV. 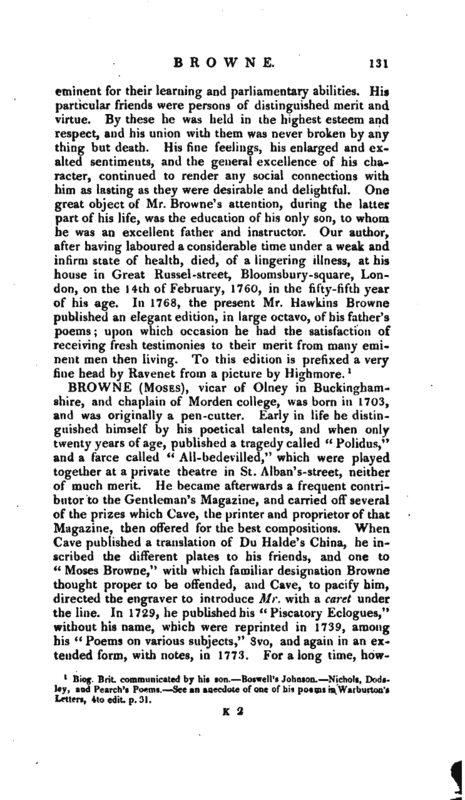 Nichols’s Literary Anecdotes.